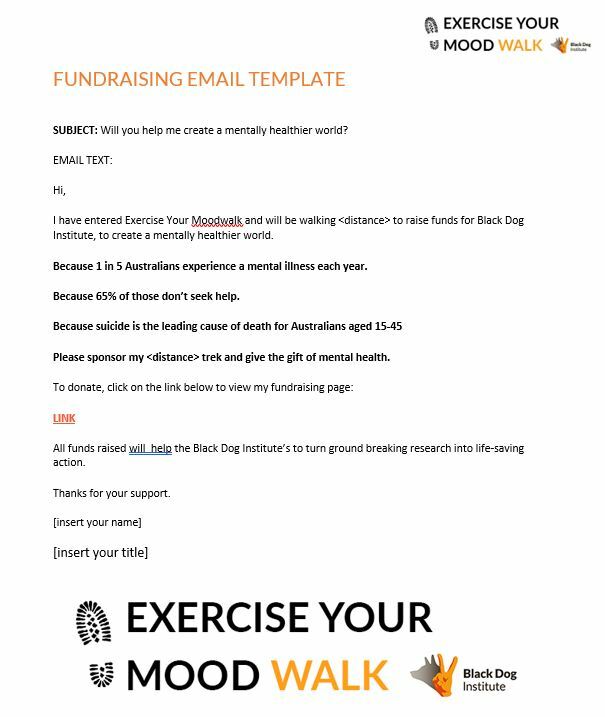 The Fundraising Toolkit has everything you need to start fundraising for Team Black Dog. 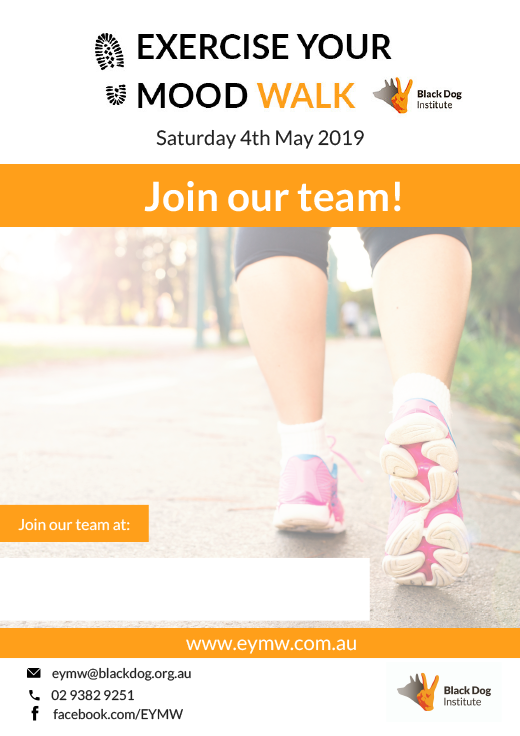 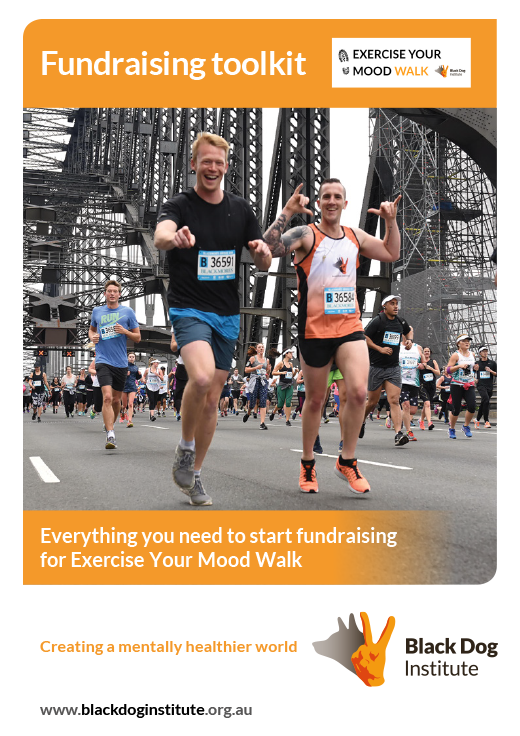 Promote the 2019 Exercise Your Moodwalk in the workplace or in the community with this poster. 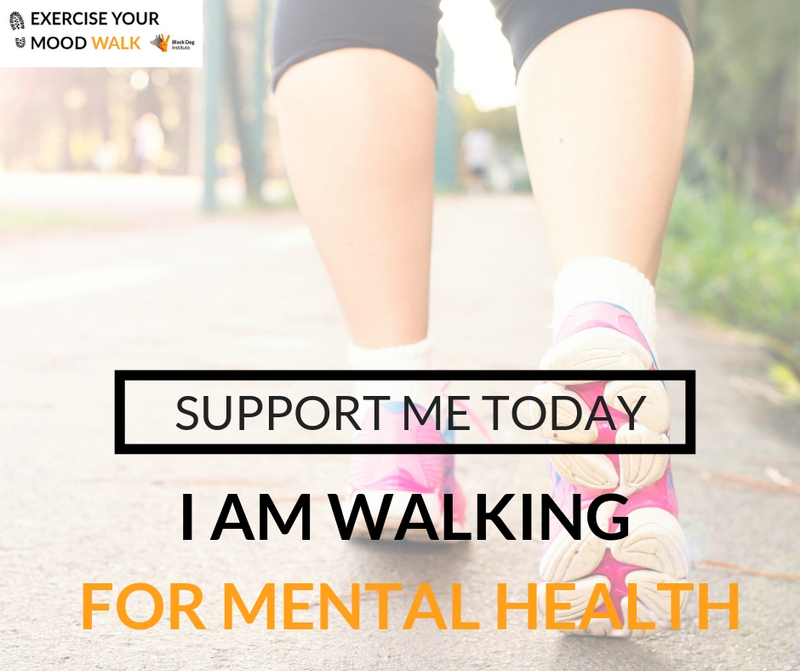 It's always a great idea to add #exerciseyourmoodwalk to all posts and link people to your Exercise Your Moodwalk profile, encouraging them to show their support. 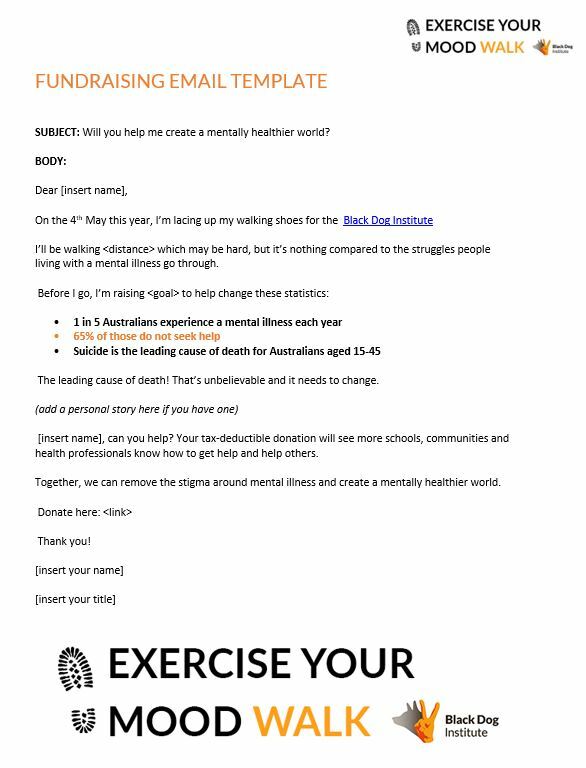 Use this email template to promote your participation in the Exercise Your Moodwalk to your networks. 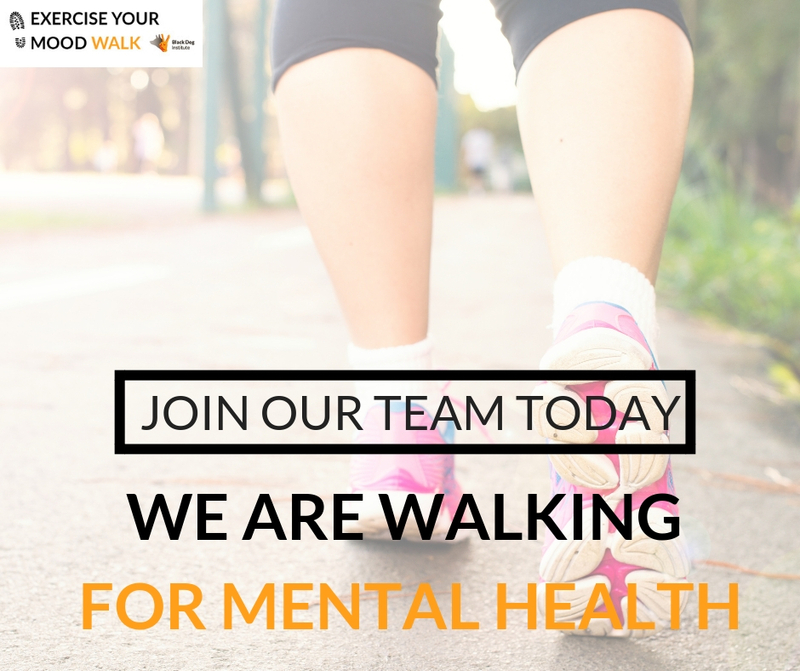 Add this banner to your email signature, website or other digital platforms to promote your participation in the Exercise Your Moodwalk.